I truly view being a dentist to be a privilege. It is a highlight of my life. 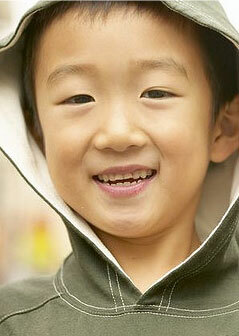 I believe that oral care can have impacts on people’s lives far outside the area of their teeth, gums, and jaws. A foundation of trust between patients and myself is vital to my success. I understand how uneasy you can feel about dental visits and strive to put any worries out of your mind. I believe that dentistry can be a relaxing and positive experience. I began my formal education at the University of Saskatchewan and earned my Doctorate of Medical Dentistry with Great Distinction in 2003. I was posted to 1 Dental Unit at Canadian Forces Base Edmonton right after graduation. 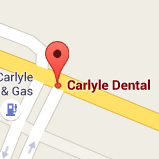 In 2007 we moved to Carlyle to begin private practice. I am excited about all the recent developments and advances in dentistry. It is important to me to stay current so I can provide you with the best care available. To do this I have spent countless hours training in both Canada and the United States to be up-to-date with the latest trends and techniques. My office is dedicated to providing you with excellent, personalized care. Each patient is different and brings unique needs. I take my time getting to know you and your specific conditions before making recommendations. Furthermore, a big part of trust is making sure that all parties involved understand the particulars. This means that I will go to great lengths to explain the treatment in detail- the why, pros, and cons. Your confidence in the soundness of the procedure really makes an impact with it, and it carries into post-procedure education. I am not in the business just to give you an amazing smile. My goal is to give you the knowledge to maintain the beautiful smile we’ve created together. I am happily settled down with my wife and two children. I enjoy golfing; I find it to be a great way to relax and focus on a skill driven sport. I also enjoy spending time at the lake. Whether I am on or around it, it has a calming effect that I really appreciate.